2) Without removing the headlight, I was able to get the protective cap unscrewed. I then found a metal piece (igniter? ), which I believe holds the bulb. How do I get that piece out? I couldn't figure out how to remove it. I disconnected the battery before attempting this due to all the warnings. I changed out my HIDs to OSRAM cool blue 5000k and it was a very noticeable improvement in light output, range, and brightness compared to OEM. I tried to exchange the bulbs without removing the bumper; but, next to impossible for me with hands large enough to palm a basketball and the very tight space near the dust cap. It really didn't take that long once I went through the process of removing the bumper. The only thing I did differently was I removed all upper/lower/internal clips and let the bumper rest on a blanket (fog lights were still attached). About 1/4 of the plastic clips broke during removal, were already broken, or not good enough condition to reuse. I pre-ordered replacement clips from Amazon. I also moved all screws attached to the HID housing just to give me more room to see what I was doing. It took me about 45-50 minutes total since I didn't know what I was doing. I think I could do in about 30 mins now. The silver HID igniter part only takes around 1/4 turn to remove. Be careful because the silver wires attached to the igniter are not very long and don't pull the igniter too far or too hard. I just turned to remove and set aside 1-2 inches away to reach the back of the bulb. The HID is held in place with two vertical metal clip you need to squeeze together and pull back. 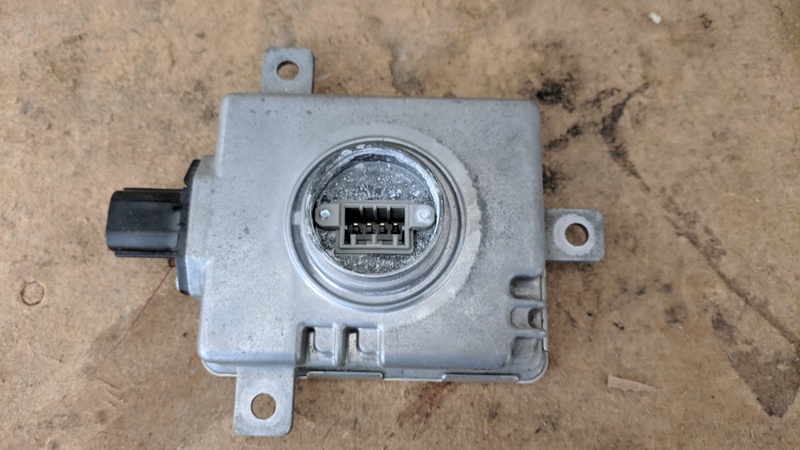 It has been a while and I can't remember if I had to squeeze and pull back or pull forward the metal clips to release the HID bulb? Once the clips are hanging down in the horizontal position, the bulb can be pulled out with two fingers. Do the reverse to replace the bulb. - The new HID can only go in one way for the metal clips to attach with almost no effort. Make sure the long blue or brown grounding wire that runs the length of the HID bulb light source is pointed towards the ground when you insert into the housing. Make sure you wear gloves and do not touch the bulb at all. You will need to take off the whole front bumper too. You will need to removed the clips on the top middle of the bumper. The molding on the sides of the engine bay with the crews under them. Then remove the screws from the headlights. Then removed the clips and screws from the wheel well. Make sure its just the bulb that went bad before you put it all back together. I had to change my ballast, igniter, and bulb after 135,000 miles on the passengers side. 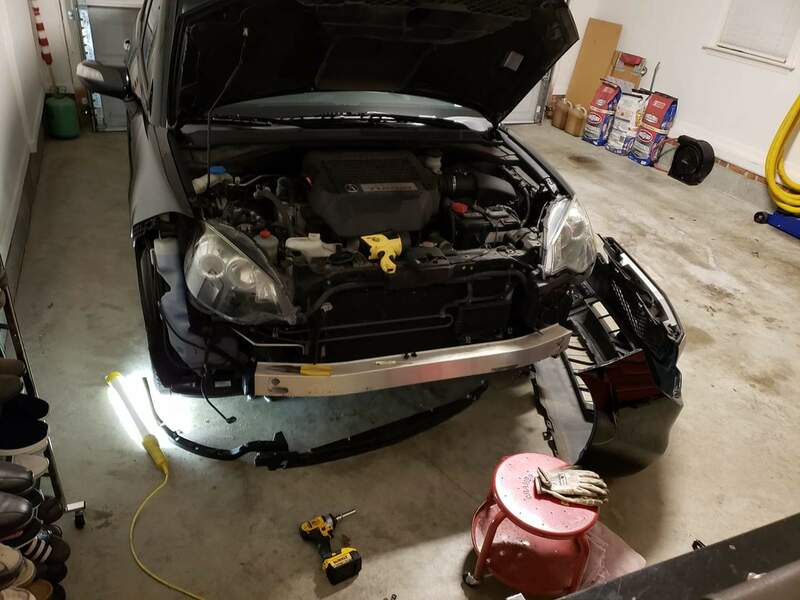 Hi - thanks to both of you for your help - I finally got around to doing this and was able to get the new headlight in with a bit of a struggle. It was just the headlight after all -- apparently the ballast etc is OK. I did lose the metal clip that holds the bulb in place though - it popped out and I could not find it for the life of me, so I had to jerryrig it all a bit with a wire coat hanger and duct tape to hold the bulb in, but amazingly that worked pretty well. Thanks again - the video was really helpful too! I turned the light on to make sure it worked before putting everything back together, and returned the other two items. Anyway, hope this helps. Right side headlight bulb dead. 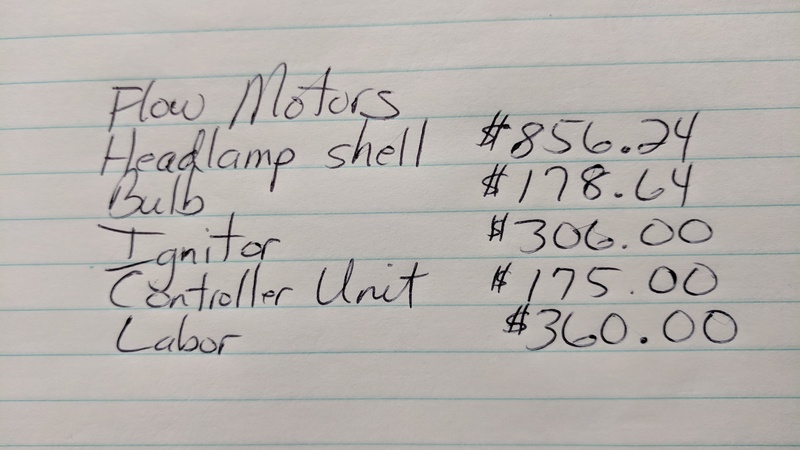 Auto headlight issue? on the fence: 2011 RDX or 2011 Murano?